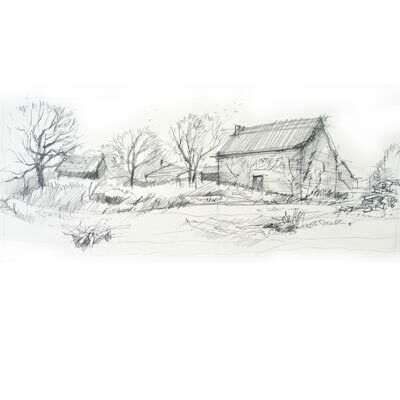 Today we will be drawing a smaller landscape. This drawing can be done with one pencil alone, this can be either a HB or any darker pencil you wish to use. 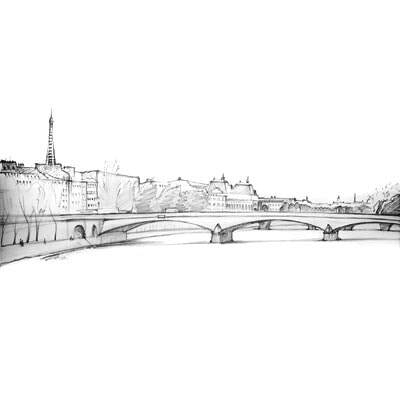 For a landscape not to appear too stiff, it is advisable to use line contour variations in particular when drawing buildings. For quick sketching use a lot of cross-hatching, which is much faster than layering. But keep lines neatly parallel to one another as the drawing will otherwise look messy. 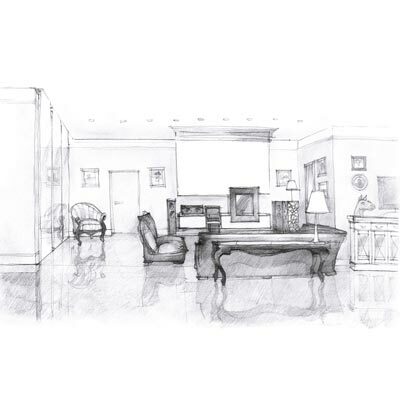 Sketch your living room or part of it. Use a lot of cross-hatching at adhere to line contour variations. Create a focal point of interest by using stronger contrast in that area. 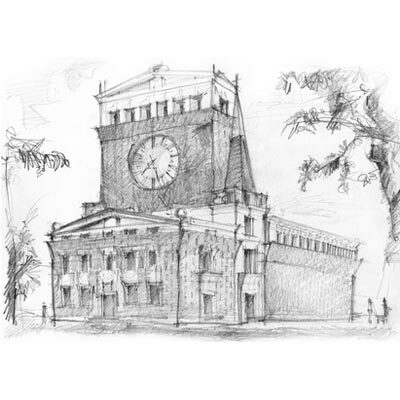 With a HB pencil draw an older building. 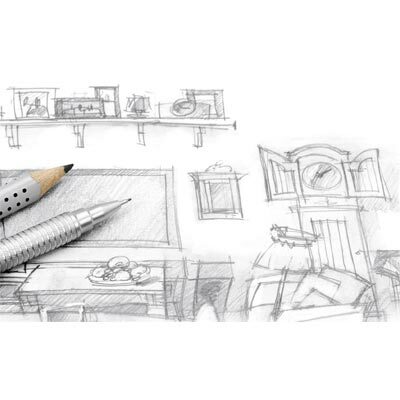 Try to only sketch, that means create lines swift and confidently, even if not immediately correct. You can always adjust later. Don't spend too much time being too precise today, we just want to create a fast impression of the building. 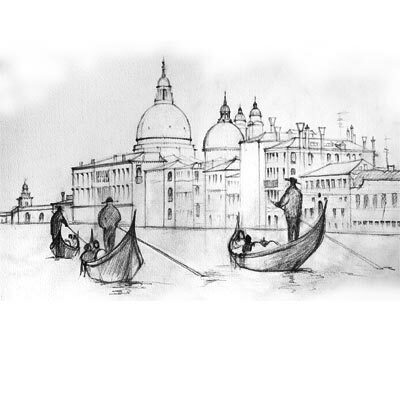 Make a sketch of Venice from the water and add some gondolas. Use simplicity to get results, don't overdue details, but keep it simple. Less is more. Draw a very simple landscape. Some grass, a few trees and small building. Use little detail and mostly cross-hatching. 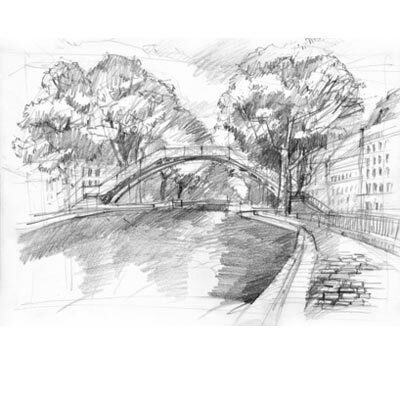 Once more a simple sketch of a city landscape with a bridge within it. Collect simple household items and create a pleasing composition by placing some of the items overlapping and others more separate. 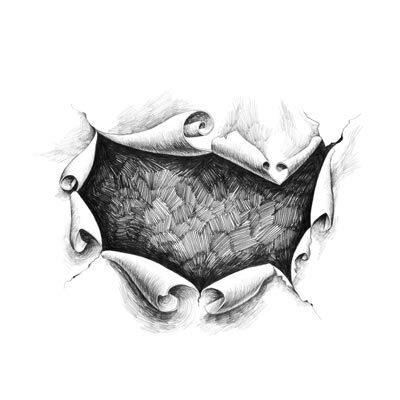 Draw this image with a finer pencil, such as 2H to create a high key image of soft cross-hatching lines. 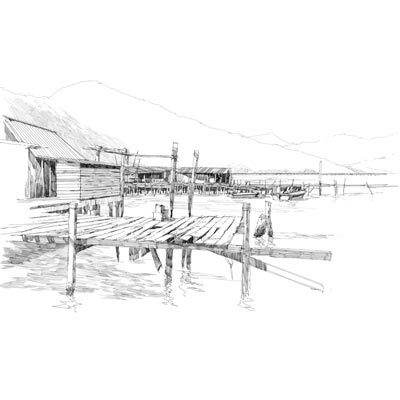 Sketch a simple pier structure landscape. Once more keep it simple and use mostly cross-hatching. This teaches you to concentrate on the most important parts. Take a piece of paper and rip a hole into it. Draw the curling outlines, add some shading and place a cross-hatching pattern that is darker within than what you see in reality. Choose some very distinct household items, such as a hanging shelf, a large clock or painting with some furniture in front. Don't worry to have all lines perfectly straight, as you can see in this picture, some lines are a little curved where they would be completely straight in nature. It makes easier to let go and work fast to catch the most important details. 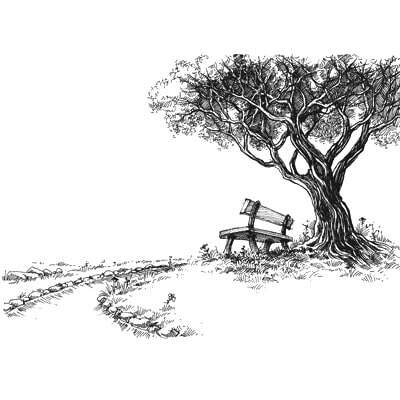 Draw a tree with a bench near by. Indicate a little grass area or a path for more interest. Continue to keep it simple adding only more detail within the tree. 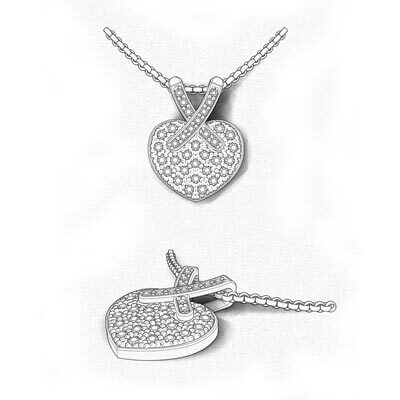 Draw a piece of jewellery or a watch. This time try to get as many details as possible and clear defined lines. 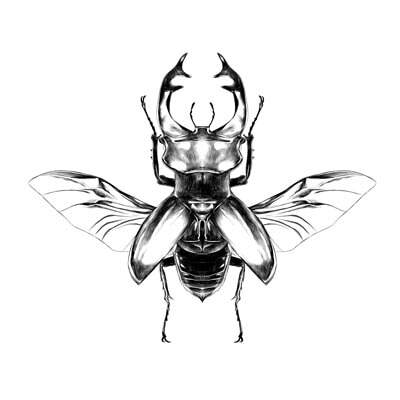 Draw neatly all outlines of an insect and hone in with details on some parts. 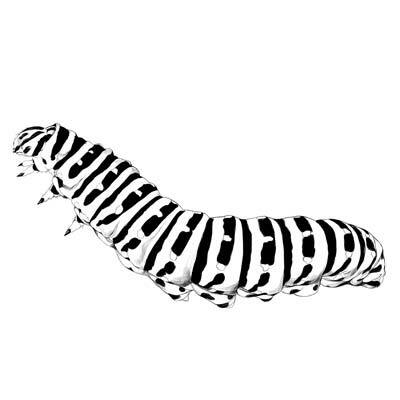 You do not need to finish the whole insect, but have some parts of it in clearer detail. 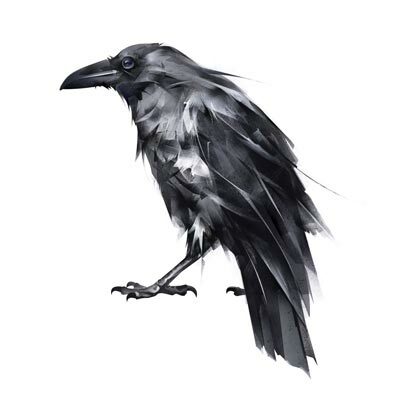 Draw a raven by using the layering technique and soften fields of graphite with a paper stump, but never touch edges, which have to stay rather hard. 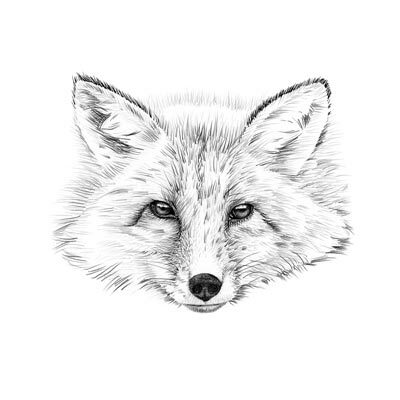 Draw the head of a fox. Use lighter pencils such as 2H and 4H for fur, as it makes it appear softer. Add details for eyes and nose with darker pencils for contrast. Make eyes look shiny by adding a highlight and have the iris a little darker on the top than on the bottom. 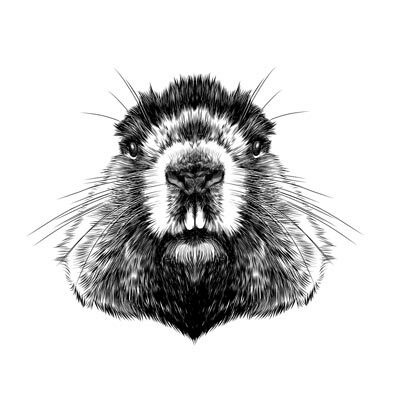 Draw the head of a beaver with its distinct teeth. Use both darker and lighter pencils for fur. The 2H and 4H pencil will make fur appear softer and fluffier. 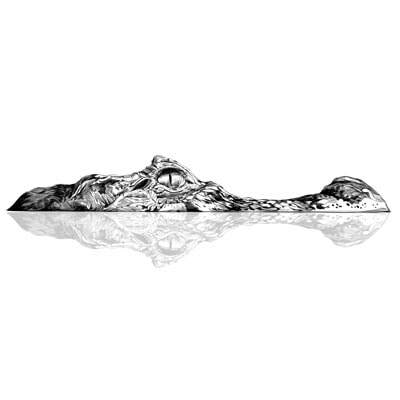 Draw the head of a crocodile sitting half in water. Try to take your time for details. Then almost reflect the same image upside down underneath to show the reflection of the crocodile in the water. Use only a 4H for the reflection in the water to keep a fair distance in tonal value to the rest of the image. 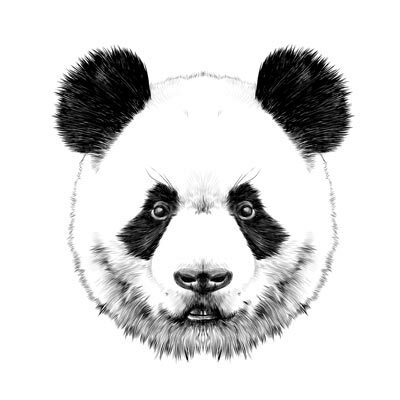 Draw the head of a Panda bear. 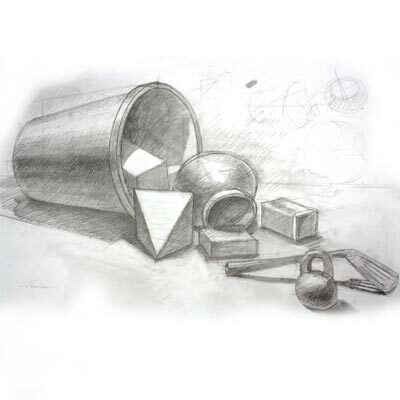 Use both dark and light pencil for contrast rich effects. Use only 2H and 4H for the lighter fur on the bottom of the head and HB to 6B for the darker areas. This week we will be drawing animals, both domestic and from the wild. 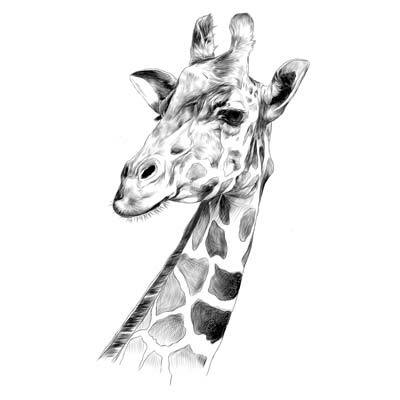 Today we are drawing a giraffe's head. Use all pencil grades and in particular the 4h and 2h for all mid to lighter tonal values. 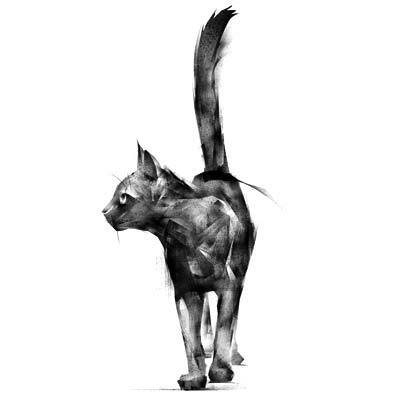 To draw this cat you can either use charcoal or using the side of a broken pure graphite pencil, after having removed the thin plastic layer. This is an interesting drawing technique by which you can create incredibly fast results with just a few strokes. I hope you will enjoy it. This drawing will take some time, so just get the rough outlines and go as far as you get and leave the rest. 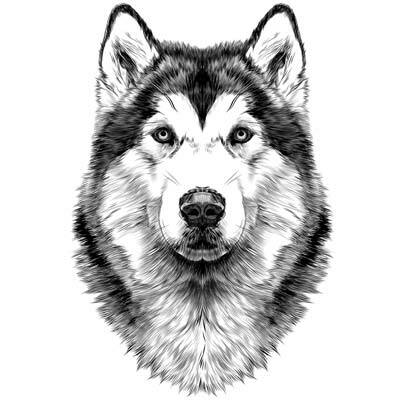 When drawing only part of the image, begin first with the eyes and nose, and add a little fur, or if you feel like more finish the whole piece. Use the whole range of pencils. 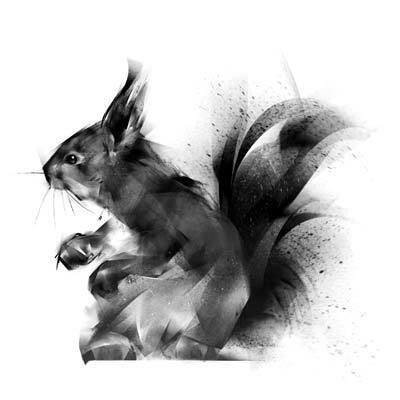 Draw a squirrel in either charcoal or using the side of a broken pure graphite pencil, after having removed the thin plastic layer. If you miss some light sections you can use an eraser to get the highlights. 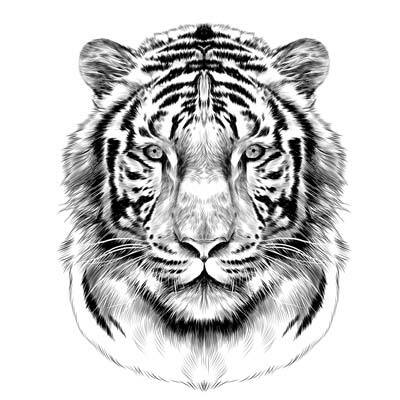 When drawing this tiger use all pencil grades from the 6b to the 6H for the lighter areas. This way the lighter section will look soft and almost fluffy. For the whiskers I usually an embossing tool (see my website in materials glossary section, if you are not sure what that is). I emboss the lines into the paper by putting a piece of cardboard underneath the paper. When you draw with your pencil on top of it the lines will remain white and look very clear. And another of our fury friends, a cocker spaniel. Use the same techniques as with the tiger from last week. 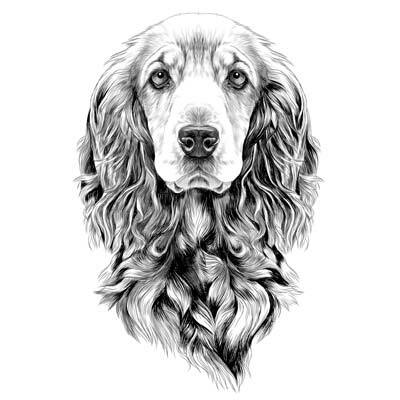 Be aware that the fur of a cocker spaniel is much longer than that of a tiger. 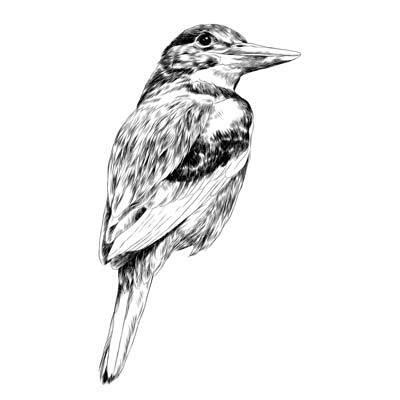 The last image for this week five is to draw a bird.